Wood builders have known the value of wood moisture content assessment for generations. However, these times carry a new emphasis on measuring the moisture content of wood studs. Regulatory jurisdictions are expanding in cross-referenced ways to include moisture content measurement of building studs, long ignored by regulations as a safety hazard in wood structures. Times change. But these times have produced what can appear to be a perplexing puzzle of crossed regulatory boundaries on wood moisture content test procedures. The International Code Council is a member-focused association dedicated to helping the building safety community and construction industry provide safe, sustainable and affordable construction through the development of codes and standards used in the design, build, and compliance process. 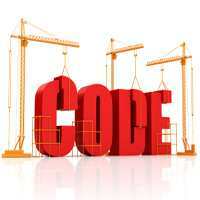 Most U.S. communities and many global markets choose the International Codes. Clause 3.1.3: Moisture content and specific gravity shall be measured and reported for specimens tested in the qualification program. Measurements for moisture content shall be in accordance with ASTM D4442, and measurements for specific gravity shall be in accordance with ASTM D2395. Density measurements may be used as an alternative to specific gravity measurements. The ICC references several standards authored by the American Society for Testing and Materials (ASTM). While state building code regulators may have their own moisture content rules for wood studs, ASTM industry standards can be linked directly with their International Code Council counterparts. Therefore, wood builders are advised to confirm if their state standards are also linked to moisture content wood stud measurement rules from the ICC and the ASTM. The ASTM also provides industry-wide wood moisture content measurement procedures. These procedures largely apply to production levels for timber processing and not as job-site assessments. But it is worth knowing their general intent. It may be desirable to know the specific gravity of a living tree, a structural member already in place, a log cross section, a segment of a research element, or the earlywood or latewood layer. The specimen thus may be large or small, regular or irregular, and at a variety of moisture contents.” These test methods give procedures that include all of these variables and provides for calculation of specific gravity values to degrees of accuracy generally needed. Tests shall be performed to determine the properties of the material in accordance to the following test methods: moisture content measurement; bending; tension parallel to grain; compression parallel to grain; compression perpendicular to grain; longitudinal shear; connections; bond quality; product durability; edgewise bending durability; lateral edge nail durability; thickness swell; and density gradient through the thickness. Builders who use a wood moisture meter for moisture content measurements and assessments in wood flooring and other wood products of a project design now also need to apply them to wood studs (and are wise to do so). As always, the key is to utilize the most accurate wood moisture content meter in the process. Pinless moisture meters, such as Orion® 950 Smart Pinless meter, provides cost-effective quality control moisture content measurements for meeting regulatory specifications and/or guidelines. Using wood moisture meters like the Orion 950 is an efficient and quick way to scan large amounts of stud lumber prior to installation. 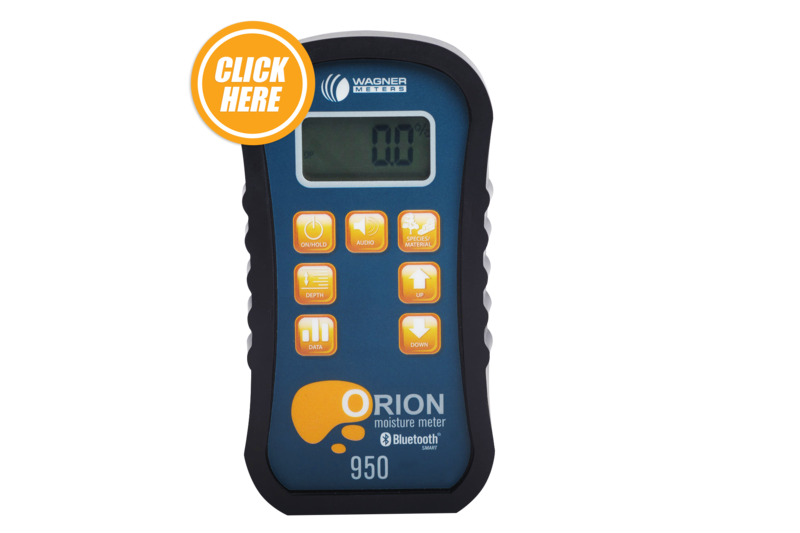 The Orion 950 detects moisture contents between 4-32%. Users simply turn on the wood moisture meter, program it for the correct species and depth and run it along the stud surface to obtain moisture content measurements. It also carries an industry-leading seven-year warranty. Wood studs provide the crucial framework for many building projects. 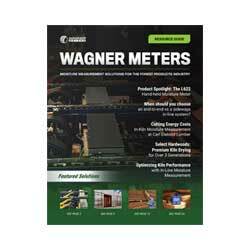 A quality wood moisture meter is just as crucial to meeting performance standards. What is acceptable moisture level in building studs and floor plates before wall board is installed. Typical building studs are kiln dried to 19% moisture content, or less. By “Floor Plates”, I assume you are talking about sub-floor sheets such as plywood, OSB, or Avantec. These products should be between 10% and 15%, depending on what will be the relative humidity in the room where it is installed.